The thing with autobiographies is they can go totally wrong, trying to convince the reader what a perfect, clever, self-confident and of course perfect looking human being the writer is – and leaving you as the reader either laughing or sick because you can’t cope with a super man (of course there are super woman around, too). 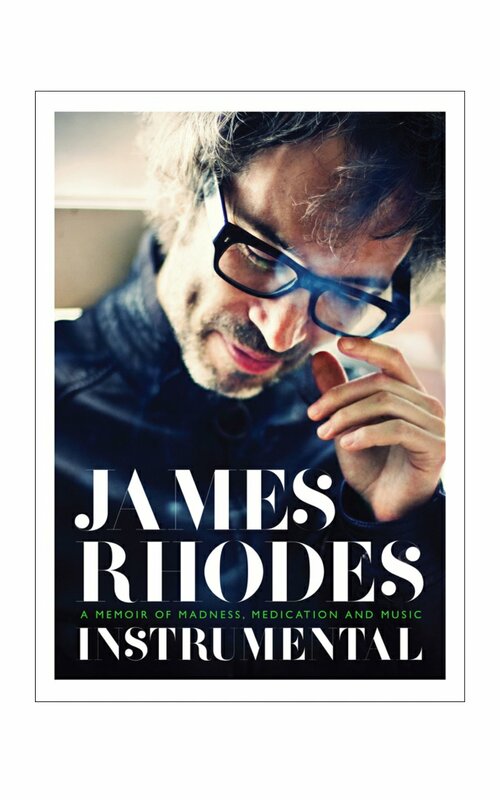 James Rhodes’ “Instrumental”, that is finally available, isn’t that sort of book at all. It is funny, it is shocking, it leaves you shaking your head in disbelief and it touches you deeply. That is because – and for me the most important thing – James writes about his life, his experiences and the things that matter most to him in such an open, honest way as if he is talking to you as a very close friend. Being able to literally write about grief, sorrow, shame, feeling insecure and simply not fit for the world outside is a kind of getting rid of it. No matter how people will react. And because music is so important to him and because he is as different from a “normal” pianist – sitting in tee, jeans and trainers at the piano – as you possibly can imagine, it’s thrilling to listen to his work, to his explanations about the composer or watching him on telly or on Youtube. Or simply finding out that classical music isn’t something for an elite audience but for normal people who are not able to remember the name of the composer but just like or dislike a special piece of music. No wonder that he tries to catch people whereever he can, engaging with his fans on Twitter and on Facebook, offering free music on his soundcloud and promoting his book. A book that is worth every hour reading it. James Rhodes: Instrumental, Canongate, £16,99. As ebook on Amazon, iTunes and Google Play Books. And interview with James Rhodes can be found here. Great – I should certainly pronounce, impressed with your site. I had no trouble navigating through all tabs and related information ended up being truly simple to do to access. I recently found what I hoped for before you know it at all. Reasonably unusual. Is likely to appreciate it for those who add forums or something, web site theme . a tones way for your client to communicate. Nice task.. I am actually pleased to read this webpage posts which contains tons of helpful facts, thanks for providing these kinds of data. love | diebedra.de < Liked it!